Assam Director General of Police (DGP) Mukesh Sahay on Wednesday said name of every genuine Indian citizen including ULFA (I) chief Paresh Baruah would be included in the National Register of Citizens (NRC). “Genuine Indian citizens has no reason to worry about being excluded from the document. Every genuine Indian citizen’s name would be included in NRC. 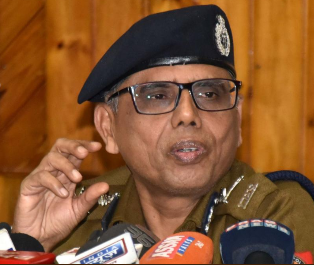 Even names of ULFA (I) chief Paresh Baruah and Arunodoi Dohutia will find place in NRC,” DGP Sahay told reporters in Guwahati on Wednesday. Sahay said the draft NRC would be published in typed format and not handwritten as reported by a section of media. He said the Assam police is ready to meet any eventuality and if necessary additional forces would be deployed to deal with the situation.